The ESP LTD M-1000E features set-thru neck construction, 25.5" scale, alder body, maple neck, ebony fingerboard, X-thin-U neck contour, black hardware, 24XJ frets, EMG 81/81 pickups, and a Floyd Rose bridge. 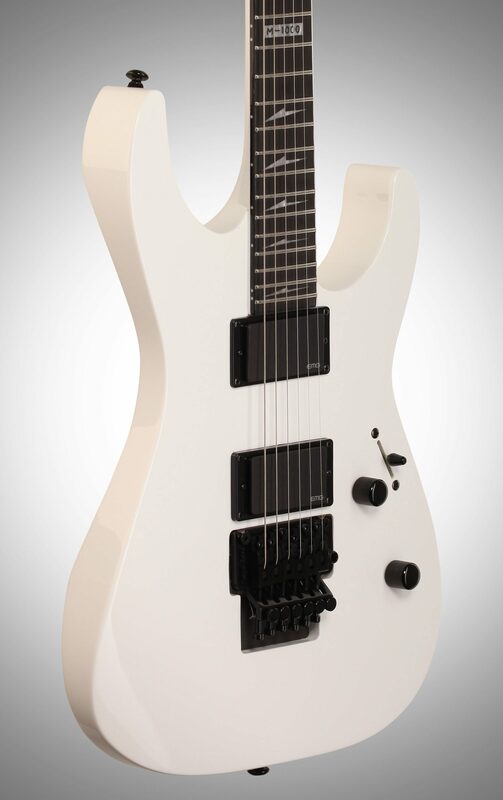 Overall: This guitar is absolutely well built and comfortable to play - This is coming from someone who had a Jackson KV2 and Jackson SL2H soloist. Floyd Rose is great - guitar stays in tune, EMG81 pair is KILLER, and the snow white finish is gorgeous. This guitar came nicely setup straight out of the box, I restrung it with light tops and heavy bottoms by DR (10-50s), tuned to Eb, and I play on a 5W Blackstar HT-5R combo amp and I'm in love with my setup. 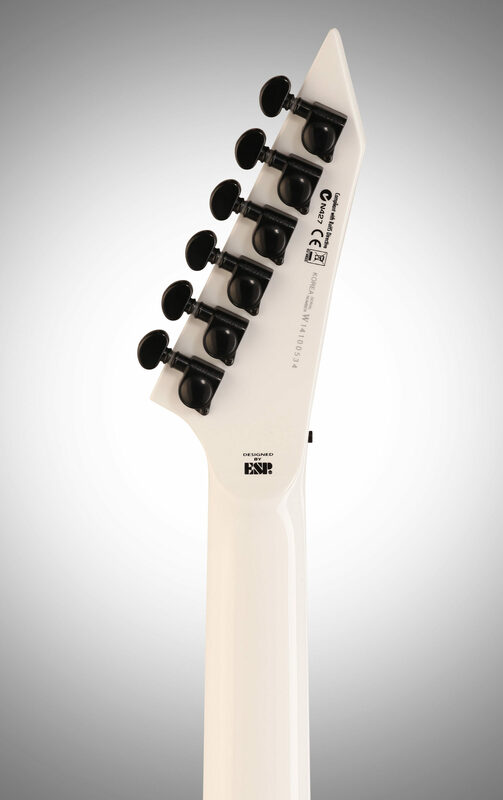 ESP's LTD series are impressive guitars, priced well and the quality is superb! "Amazing Value for the price! 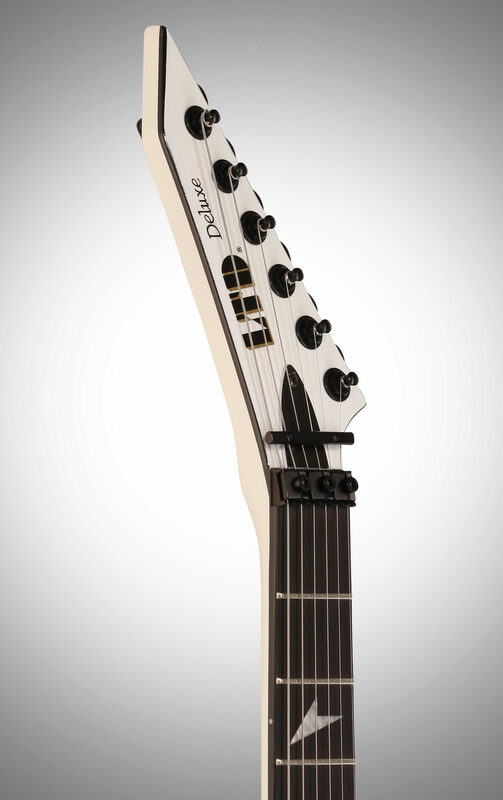 Beautiful Guitar"
Overall: No frills metal/shred guitar. 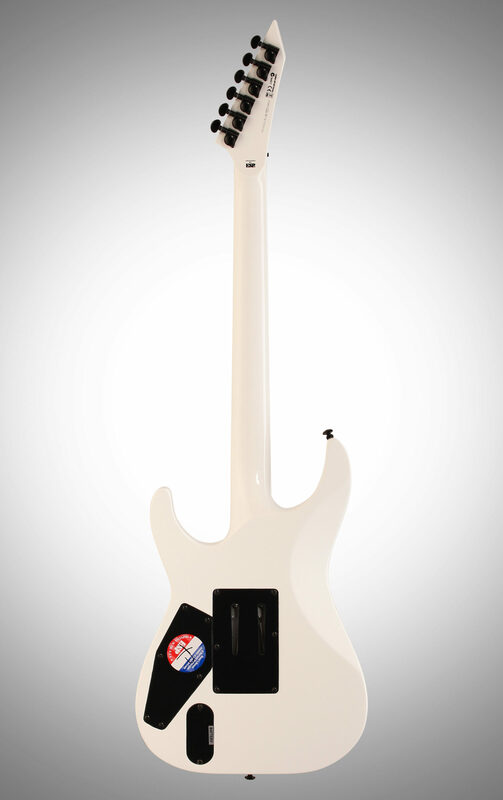 Slim neck - fit and finish look perfect - Sub 1k guitar you can not beat this. I've played many of the E-II Esp's that are priced over 1600 and you could not tell the difference in feel and sound with a blind comparison. Beautiful simple guitar that plays and feels great. No complaints!